Dara Moore is senior manager of instructional design, Global Customer Excellence Learning & Development, at global biotech/pharma firm Baxalta Inc. She leads global curricula creation, training needs assessment, and learning strategy efforts for in-line and new product launches for customer-facing commercial teams in the hematology division, ensuring alignment to business goals, and adult-learning and instructional-design best practices. She has 18 years’ experience in L&D, with roles at two prior companies as director of training, and extensive experience in instructional design for eLearning, virtual training, and face-to-face training, as well as virtual and F2F facilitation. Dara has a master’s degree in adult education and training and is a Certified Professional in Learning and Performance (CPLP) through the Association for Talent Development. 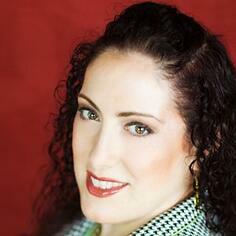 She was on the board of ATD Chicagoland in 2013 and is now an active member of the Florida Suncoast Chapter of ATD. What needs to be kept in mind when building training curriculum for global learners, as opposed to a strictly domestic audience? Any country-specific curriculum needs to be built to meet the language, culture, market conditions, and learner composition of that country. At our company, U.S.-specific curricula also have the added features of requiring alignment to our unique healthcare system and a U.S.-specific sales model that differs from other country markets. Conversely, a global curriculum must meet the widest needs globally. As a global L&D function, we construct them to include what we call the 80% common core content, which is the content that is relevant to all countries worldwide. The remaining 20% of content that is country-specific is added or adjusted when the curriculum is turned over to each region. Global curricula must either be completely devoid of country-specific details, or inclusive of details from multiple areas around the world. Because, in the hematology division, the first country of new product launch is usually the U.S., it is easy to unintentionally skew the content toward U.S. conditions. However, it requires a keen eye to the details and nuances around the world to ensure that it is inclusive and relevant for everyone. We get many stakeholders involved in the content development process to ensure we are meeting the global needs. You have managed ID functions. What pre- or post-training efforts have you done to support the training? Our pre-training efforts include training needs assessments in the form of interviews with leaders in various functional areas and/or geographic roles, so as to ascertain what is common across all areas and what is specific to a given area. This informs what we should build as common core content, what gaps we need to fill in existing training interventions, and what guidance we should provide to the countries for their own customization when we hand off the global curricula to them. As those of us in the L&D field know, learning is not a one-time event. Our post-training efforts include various reinforcement and pull-through assets to sustain the learning over time. There are coaching toolkits and rubrics to help managers and field trainers best use the training assets and assess representatives’ application skills. We also build learner materials that include scenario handling tools and interactive apps in which they can practice verbalizing to customers what they have learned, by recording themselves and submitting it to their managers for review. We are also just about to begin a pilot using QStream to push out topical questions and media bits to learners’ mobile devices for content reinforcement. These activities/tools are spaced out over time in order to keep the content fresh in the learners’ minds, and to reinforce the practical application for proper interaction with customers. How should learning leaders manage the localization and translation of eLearning for other divisions or countries? One big lesson my team has learned surrounds the platform in which our elearning is built. The U.S. marketing team and global marketing team typically have the budget to build highly robust, interactive eLearning modules. However, those assets then must be handed off to all the other countries for customization of content, translation, and republishing of the assets. Typically, these countries don’t have dedicated L&D staff with the appropriate expertise, nor the budget, for reproduction of such robust modules. While we want to continue to create robust and highly interactive modules, we have begun to rethink the learning platform in which we build our courses so that it is simpler and less expensive to reproduce around the world. This puts constraints on the learner experience at times, but we do our best to be innovative and highly visual, and to use micro-chunked content, within the parameters of a given platform. Given that our company doesn’t have learning professionals in most countries/regions, handing off the global curriculum assets without any guidance has huge impacts on the cost and accuracy of localization. We can’t just lob things over the fence to them. It results in duplication of the same exact work by multiple countries, the cost of many more development vendors than necessary, irregularities in the ways that content or user interfaces are customized, and a lack of consistent branding and messaging worldwide. It’s important to provide specific guidance on what they are receiving, what considerations should be made for their local needs, what their tasks encompass, and recommendations for vendors who can help them do the work. A best practice is to hire L&D professionals located in regions around the world who can ensure localizations are done properly and who report to our global function for consistency and oversight. In the absence of the ability to hire several new staff members, we have developed a plan to partner with a vendor that will handle the module development and project management at the country level. How can learning leaders establish credibility and develop their network when starting with a new organization? Establishing credibility and developing a network at a new company can be challenging, and I must admit it isn’t natural or easy for me. Best-case scenario, your new company has a formal onboarding and introduction process that helps pave the way. However, I’ve found that not to be the case at most companies, and you don’t know what you don’t know or who you don’t know. It takes concerted effort, and often a step out of your comfort zone, to keep asking questions and request introductions to business partners and leadership, so as to develop your network and get your face and name known. In this way, you can meet the appropriate people and begin building relationships with them. By demonstrating that you’re interested in learning about their business objectives and needs, and building processes and interventions to meet those needs, your credibility will grow. Working to create a sense of ownership for the projects at hand engenders engagement and value in the outcomes, and through producing high-quality work, you will be seen as a valued partner. Are there trends in L&D that you love or that are concerning? Innovation often has to take a back seat to business realities. It creates a bit of cognitive dissonance to have this internal drive to push the envelope on innovative learning approaches and technology, yet also the recognition that the funding and/or infrastructure simply isn’t in place to implement such approaches. You have to find a middle ground in which you can meet the constraints of the business while still providing an effective learning experience, even though that may not satisfy the L&D geek within. On the upside, I am excited to see some of the new eLearning development platforms that are coming out, especially those that are highly interactive, application-based, and critical-thinking-focused. They have the opportunity to make dramatic impact on the effectiveness of eLearning and the engagement of learners. Tell us about a training success story. At a previous company, I designed and facilitated highly technical eLearning and virtual learning. I created and facilitated training to help hospital employees understand all the required tasks for submitting healthcare data to us, how to troubleshoot, and how to ensure quality data. I also conducted F2F workshops with cross-functional teams at individual hospitals to take a deep dive into the accuracy of their data, and how it would affect the data they could pull back out to analyze the marketplace for strategic planning purposes. These workshops were often the first time people at the same hospital had ever talked to these people on other teams, and the experience had huge impacts as a result. The learners came to realize how interdependent they were and how the work of one affected the usability of data and ability to complete work for another. We saw data submission errors go way down, which improved the quality of the data. The experience also triggered many of the hospitals to begin holding quarterly meetings with those who attended the workshop, so they could continue to maximize the improvements and expand the usefulness of the data. It was really exciting to see the lightbulbs go on during the workshop, and to know that it would have long-reaching impacts to their organizations.